This paper looks at a key reason behind Canada’s persistent failure to meet its self-imposed climate change commitments, and proposes a new institution that will be important to overcoming this failure. In 2016, Canada’s federal, provincial and territorial (FPT) governments – minus Manitoba and Saskatchewan – signed the Pan-Canadian Framework on Clean Growth and Climate Change (PCF). The PCF collected a host of FPT climate change policies and programs and also laid out a set of new measures designed to help Canada reach the greenhouse gas emissions reductions targets that it committed to at the Paris Climate Change Conference in 2015. Unfortunately, despite the very real progress that the PCF represents, Canada is still not on track to meet its climate change targets. Why are we still failing, and why have we consistently failed to meet our emissions reductions targets for the last 30 years? One major reason is that solving the climate change policy problem requires collaboratively aligning all 14 FPT governments’ climate change policies – and Canada’s existing intergovernmental institutions are simply not up to the task of making that happen. Any successful Canadian climate change policy will need to be able to reduce Canada’s emissions in a way that is effective, efficient and fair. New and innovative intergovernmental institutional frameworks are required to achieve this and to overcome the various obstacles – such as diverging regional interests and significant economic diversity – that have scuttled previous efforts. This paper argues that a new independent institution, co-created by the FPT governments, will be a crucial first step in this direction. This new climate change institution should be mandated to give evidence-based advice aimed at collaboratively optimizing Canada’s 14 separate FPT climate change policies and to guide the allocation of federal transfers designed to help address the asymmetrical economic burden emissions reduction policies will create, specifically in emissions-intensive provinces. Tackling the problem of climate change may well prove to be the policy problem of a generation and one that will require a monumental effort to be solved. In the Canadian context, the shared jurisdiction of environmental policy between federal, provincial and territorial (FPT) governments makes tackling the problem even more complex. Indeed, effectively responding to climate change will not simply involve “getting the policy right”; it will also require the successful alignment and optimization of 14 separate FPT governments’ policies. To date, however, no framework for doing so has been developed. While the broad intergovernmental agreement that is the 2016 Pan-Canadian Framework on Clean Growth and Climate Change does constitute real progress in this direction,1 this progress is not, by itself, enough to meet Canada’s Paris targets. True, the measures and commitments included in the Pan-Canadian Framework – carbon pricing chief amongst them – will play an essential role in any progress Canada makes towards its targets. Nonetheless, policies and initiatives that work alongside carbon prices to drive additional emissions reductions will also be critical. These “complementary measures” are particularly important as they can be precisely targeted to achieve specific policy outcomes that blunter tools may miss or achieve less efficiently. Control over many of those complementary measures, however, rests in provincial jurisdiction. As such, identifying the most strategic measures, and deploying them in a pan-Canadian context, will require significant intergovernmental cooperation. Unfortunately, the history of Canada’s federal-provincial-territorial engagement around climate change demonstrates that existing intergovernmental institutions are not up to the task of satisfactorily addressing the complex issues that characterize this policy space. In particular, past approaches have shown themselves largely incapable of successfully grappling with critical issues such as how to ensure equity between jurisdictions in the context of a necessarily asymmetric allocation of emissions reductions burdens. The potential costs of getting this wrong are significant. On the one hand, Canada faces the possibility of missing its Paris targets entirely. On the other, Canadians face the possibility of an approach where blunt or poorly targeted policies seek to pry costly emissions reductions from areas where significant reductions have already been made while simultaneously leaving sweetheart deals for others. While neither of these scenarios has presented itself yet, the challenge of closing the gap between Canada’s Paris targets and the likely results of the policies aggregated in the Pan-Canadian Framework remains significant. Therefore, we argue that an innovative approach – but one that also draws lessons from Canada’s historical experience and from other jurisdictions – could enable a successful new effort. Specifically, we suggest a two-pronged approach. 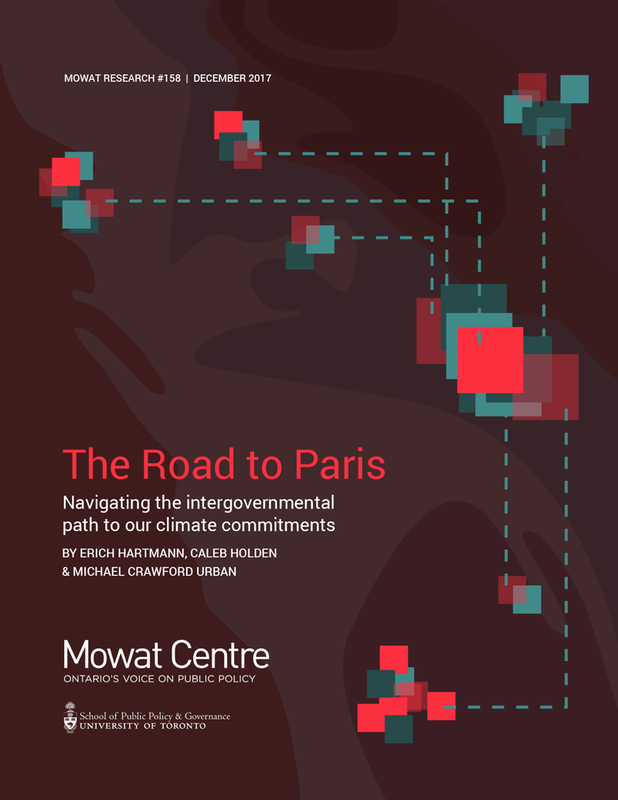 The first prong consists of the creation of evidence-based advice on how individual FPT climate change plans should contribute and combine to meeting the entirety of Canada’s Paris commitments and how the burden of meeting those targets should be shared between jurisdictions. The importance of this analysis notwithstanding, one thing that we already know for certain is that those provinces, particularly Alberta and Saskatchewan, whose economies are particularly emissions intensive, will need to bear a relatively greater emissions reduction burden. It is at this problem that the second prong of our approach is aimed, namely the deployment of the federal spending power to mitigate this uneven burden and to ensure equity between jurisdictions is maintained throughout this effort. Enabling the two-pronged approach will require new approaches to governance as Canada’s existing intergovernmental institutions are simply not up to the task. Currently, no single institution has the mandate or legitimacy to give specific, integrated, cross-jurisdictional advice to inform the development of an effective, efficient and fair pan-Canadian climate change framework. Only a permanent and independent institution, co-created by the FPT governments, will have the intergovernmental buy-in needed to solve this purview problem as well as the operational independence required to give the good, evidence-based advice to individual governments and FPT tables alike that is needed to solve this generational policy problem.